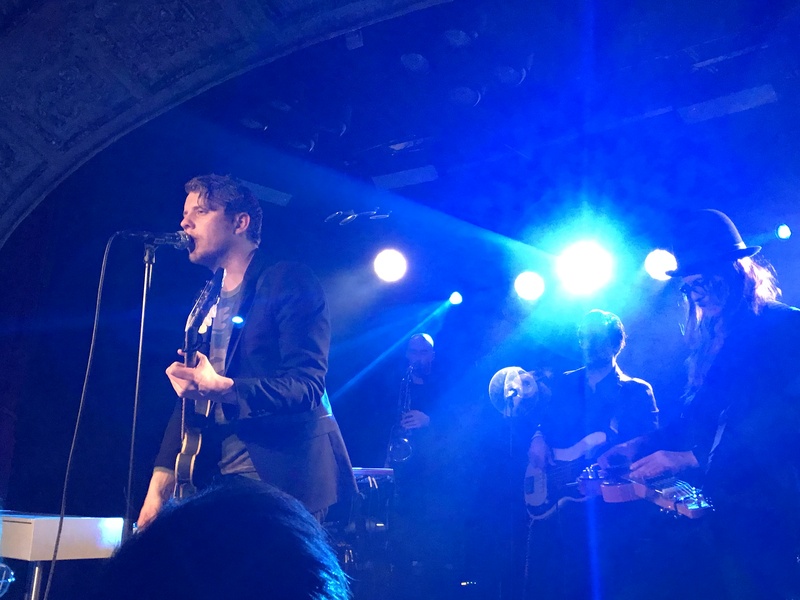 Opening up for Anderson East was highly regarded London duo Ferris and Sylvester who played a fabulous set showcasing their new EP Made in Streatham. Archie provided percussion with back-facing bass drum and tambourine with pedals played with his heels. At one stage he got his bass pedal caught in his trouser leg, after which he tucked it in to his sock, joking it was a “not a good look”. Songs included Sometimes, Superhuman with Issy on electric bass, Better in Yellow, Sickness. London’s Blues closed the set and brought the duo an enthusiastic reception. Tipped as one of Rolling Stone’s “Top 10 Country artists to watch” back in 2015, East came to the Omeara’s tight stage to a deafening reception. His reputation preceded him as a top live performer and he was not about to disappoint. The next 100 minutes brought a non-stop fiery performance of staggering intensity and emotion worthy of Otis Redding and James Brown of the past and Eli “Paperboy” Reid and James Morrison of the present. East was illuminated by his six-piece band, all friends from back home in Alabama. His style is a fusion of soul, blues, rock and country, with an emphasis on Southern Soul. He has a supreme gravelly voice with maturity beyond his 29 years. Kicking off with the Ted Hawkins cover Sorry You’re Sick East set a blistering pace, with the slower numbers having equal intensity. Girlfriend oozed soul and funk, ably assisted by trumpet and saxophone. If Mr Grammy himself Bruno Mars hears it he’ll want to cover it. Convincingly, East even inherits the scream from James Brown and Joe Cocker. During his set East played every number from his highly rated new album Encore. Standout tracks were If You Keep Leaving Me with an amazing organ solo and King For A Day, co-written with Chris and Morgane Stapleton, which was closer to Otis Redding than most tribute acts. This guy has Stax appeal. There was an extended pause after which East said “You’re the most intimidatingly quiet audience ever” (American artists are constantly amazed about the attentiveness of English audiences). Without You and This Too Shall Last were beautiful and both had the feel of Van Morrison, showcasing East’s superior vocal and performance talents. The song he wrote with label mate Ed Sheeran, All On My Mind, went down a storm and he encored with a phenomenal solo version of Cabinet Door. The band returned to finish with House Is a Building, with a sensational gospel piano intro and hi octane ending. East and his excellent band put on one hellova show. “We hope you’ve had at least half as much fun as we’ve had” he said. 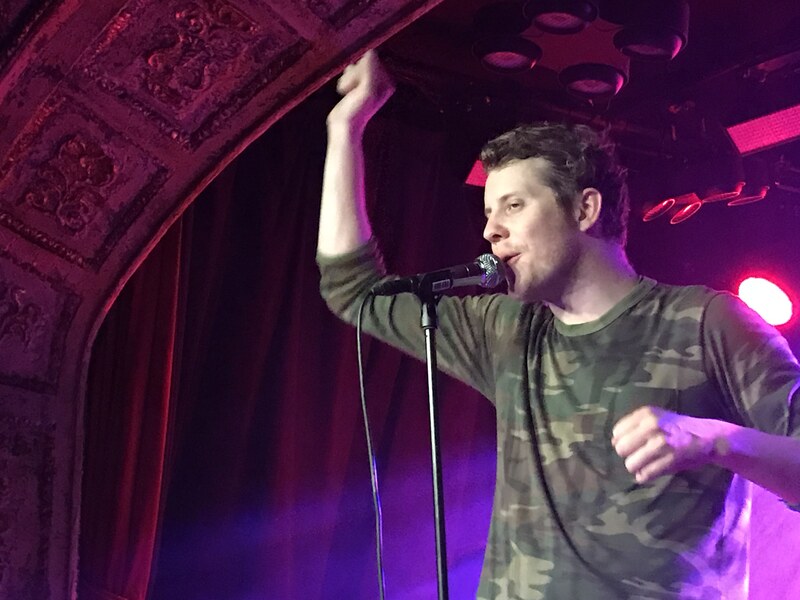 Take the passion, soul and atmosphere of his new Encore album, double it and you are halfway to imagining just how good East and his band are live. Catch them if you can. I know it’s only January, but if I go to a better gig in 2018 I will be very surprised. A pre-show interview with East will appear shortly on this site. Grammy nominated Appalachian country singer Jerry Harmon returns to the UK for In The Rounds tour with Steve Young and Connor Adams.